The dashcam, or dashboard camera, has become an essential vehicle accessory primarily because of solid evidence that it aids with self-protection. Transcend Information Inc., a leading manufacturer of storage and multimedia products, has come up with DrivePro dash cam products which live up to the brand’s stellar reputation for quality, reliability and affordability. As the industry expands, consumers enjoy more options with dashcams coming in different shapes and with diverse features. Here is Transcend’s advice to shed some light on how to select the right dashcam for your needs. A good memory card is key to storing critical evidence. Some dash cam units come with a memory card while for others you’ll have to buy it separately. Dashcams are write-intensive, so a high-endurance memory card preferably made of MLC-based NAND flash is recommended for greater stability and reliability. Using the advice above, you should be able to shop for a dashcam on your own and find one that’s more than satisfactory. 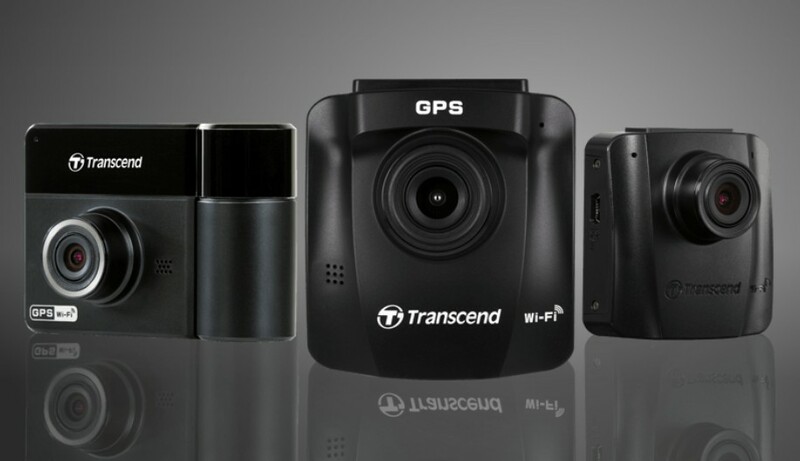 But if you’re feeling lost, here is Transcend’s recommended dashcams for any needs. Do you want to record both inside and outside your car? If you want to record what is happening behind or inside your vehicle as well as record the road in front of you, Transcend’s DrivePro 520 dual-lens dashcam will be the best option for you. It includes two video lens and records from both of these lenses at the same time. And if you want to have an advanced dashcam with comprehensive protection, Transcend’s DrivePro 230 is right for you. It balances essential features with a multitude of topnotch add-ons, such as SONY Image Sensor, Lane Departure Warning System, Forward Collision Warning System, Parking Mode, GPS Conditions, and Emergency Recording. The middle of the range – the DrivePro 200 – is probably the best combination of price and value. It comes with an extra wide 160° viewing angle, resolution of 1920x1080p (30fps), and a row of 7 glass lenses to ensure your trip is recorded in high clarity. If you do plan to drive at night, then be sure to invest in a dash cam with good night vision. Transcend's DrivePro 130/110 dashcam utilizes a Sony image sensor to provide high-resolution images with extremely fine tonal gradation even in low light. The DrivePro 50 is Transcend’s most compact model with those essential features you need in a dash camera. It has no LCD screen to distract you while you're driving and the free DrivePro App allows you to stream, play back, and download videos, or adjust settings directly from your iOS or Android device with wireless connectivity. Known for its high quality flash memory cards, Transcend bundles every DrivePro dashcam with a High Endurance memory card built with top-tier MLC NAND flash chips, providing consistent long-life durability and endurance. You do not need to spend extra money and effort in seeking a compatible and reliable flash card to make your dashcam work. What’s more, the full range of DrivePro dashcams is backed by Transcend’s 2-year Limited Warranty, whereas most dash cams are covered for 1 year only. This reflects Transcend’s confidence in the high quality of production and product performance.